OK, we're back in the swing of things in our highly subjective countdown of Cal's 16 greatest basketball stars. This is the second of several "who's he" picks for many of our readers. Larry Friend was Pete Newell's second star in Berkeley (we'll meet the first a little higher up on this list) and the captain of Newell's first championship team. Friend was born in Chicago, and played his first three years of prep basketball at Marshall HS before his family moved to Los Angeles. He became a star at Fairfax High, and entered junior college to prepare for an eventual transfer to California in 1954. He arrived on campus the same time as a certain head coach, who had left Michigan State to revive Cal's basketball fortunes. Newell's first team was led by All-America Bob McKeen (more on him later in the countdown) but aided by 12.3 ppg from Friend, his 6'4" sophomore. That team limped to the finish line with a 9-16 mark, but after a full off-season of tutelage from the master, Cal burst out of the gate in 1956 with a 9-1 mark. After losing three of their next four - including a memorable 33-24 four corners loss to Bill Russell's USF Dons, the Bears caught fire, winning eight in a row behind Friend's scoring in the paint. He finished the year with a 13.0 ppg average, and the Bears improved to 3rd in the conference with a 17-8 mark. As a senior, Friend was named team captain and became the unquestioned leader of the Golden Bears. He averaged 18.9 ppg over a season that saw Cal race out to a 16-2 start, suffering losses only to defending national champion USF and #1 ranked Kansas. The Bears lost only twice in conference play, and in each instance they avenged the loss with a later win (against Washington and UCLA). The 14-2 mark was good enough for Newell's first PCC championship, Cal's first since 1953. Cal met Brigham Young in the first round of the NCAA Tournament in Corvallis, Oregon. The Bears blew out the Cougars behind 25 points from Friend and 18 from teammate Earl Robinson. On deck was a date with two-time defending champion USF, who had lost Russell and KC Jones but still featured stars like Mike Farmer and Gene Brown. Friend scored 12 points and grabbed six rebounds, but it wasn't quite enough; Brown's twenty points led the Dons to a narrow four point victory. Despite the loss, Friend was named the MVP of the Western Regional, having set a Cal record for most points in an NCAA tournament game that would last for 39 years. Friend was named to the Helms Athletic Foundation's first team All-America squad following his senior season. He was drafted by the New York Knicks and averaged four points per game in a reserve role before badly injuring his knee at the end of the season. He returned to professional basketball in 1961, playing a starring role for the Los Angeles Jets of the new American Basketball League, but that league unfortunately folded after just one season of play. Turning away from basketball, Friend built a very successful investment practice in Orange County and later became a part owner of the NBA's Phoenix Suns. He died in 1998 after a long bout with prostate cancer. Larry Friend was only 62. He is a member of both the Cal Athletic Hall of Fame and the National Jewish Sports Hall of Fame. Larry Friend was my first idol. I remember listening to Cal on the radio from my Hollister home and shooting wadded sheet paper at a measuring cup between two pillows. I always went for 50 or so no matter what Larry and his teammates scored. It was a bitter pill when he was injured in the NBA. 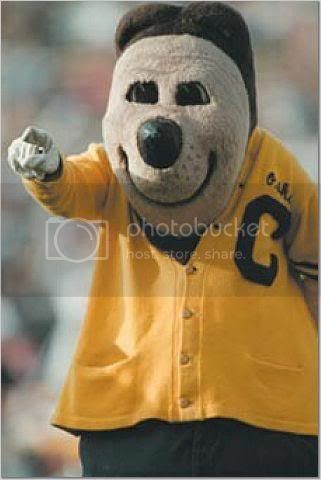 Good grief, I love Cal hoops so much, I only wish I could have gotten in the school!!! !